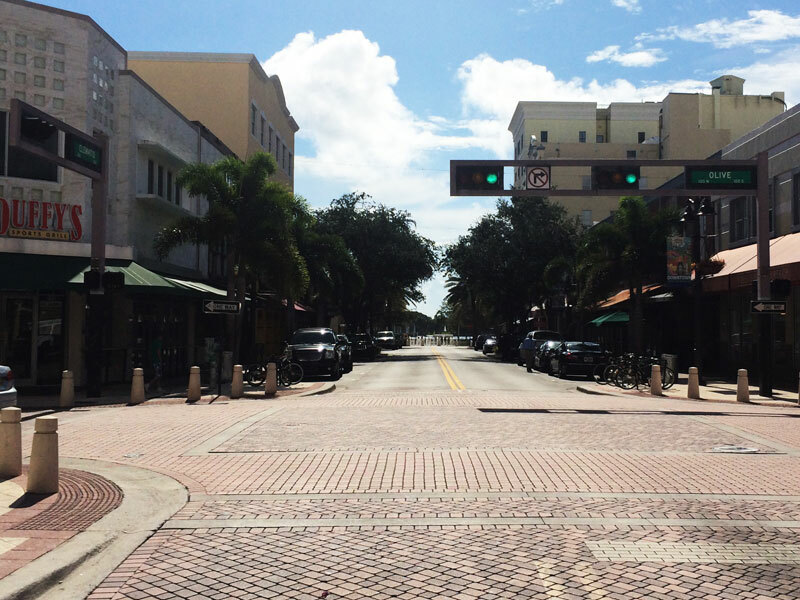 Clematis Street has been the commercial district for Palm Beach County since the 1890s. Today it is known as the "Main Street" and entertainment center of West Palm Beach. The street is viewed by locals as the city's living room — a place where people come to shop, dine, do business, relax, and have fun. 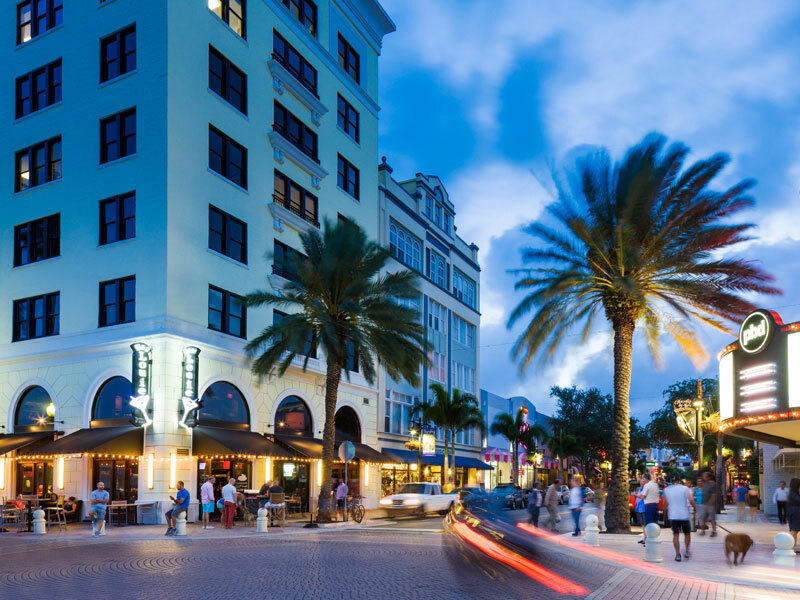 The eclectic and authentic architecture along Clematis has evolved over the last century, spanning nearly every significant era and style from 1890 to 2009. Extends for five blocks along the center of downtown West Palm Beach from Flagler Drive to Rosemary Avenue. Clematis by Night crowd. Photo courtesy City of West Palm Beach. Shops and restaurants line the ground floor of historic buildings for the length of the street, providing abundant dining and entertainment options. Businesses range from 100-year-old retailers and modern dance clubs to health food emporiums. 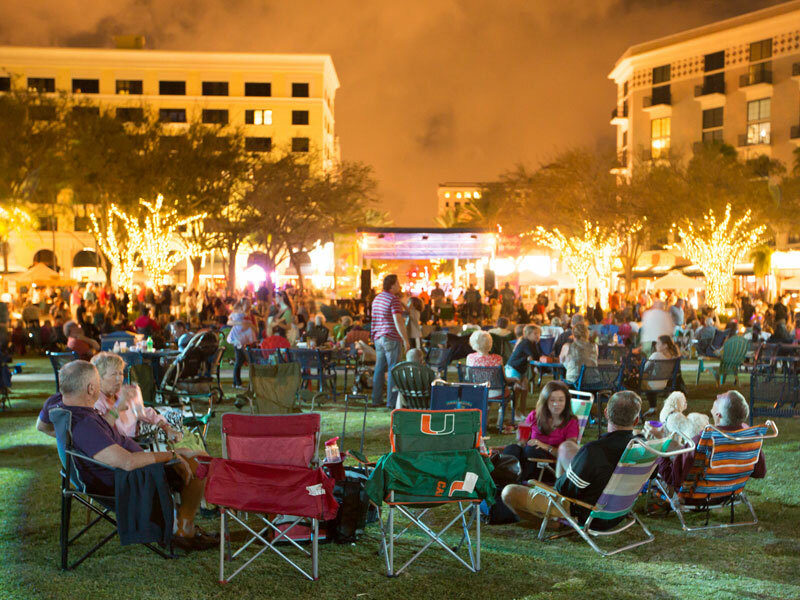 Annual events, concerts and festivals draw crowds of locals and visitors to Clematis Street. Increasingly, startup businesses, small tech companies, creative office industry offices, and artists are occupying spaces above shops and restaurants, further energizing and activating the street, often at off hours, reflecting residents' non-traditional work schedules. Intersection of Clematis St. and Narcissus Ave. Photo courtesy City of West Palm Beach. Other festivals and events include: "SunFest," the annual boat show, and "Corvettes on Clematis"
Looking east on Clematis St. Photo courtesy City of West Palm Beach.